Welcome back. Do you see that little sign in the middle of the photo? The white piece of paper that’s hanging on the frame of the airplane they’re building in my father-in-law Muns’s shop? It says, Don’t push the button! Engine will crank. That is progress. The sign wasn’t there last week. The real story is that the plane wasn’t there a few weeks ago, though four years ago, I had a blog post with a photo of the plane looking much the same, in the same location (Renovation Photo Addendum). No, it’s not a time warp. Or maybe it is. 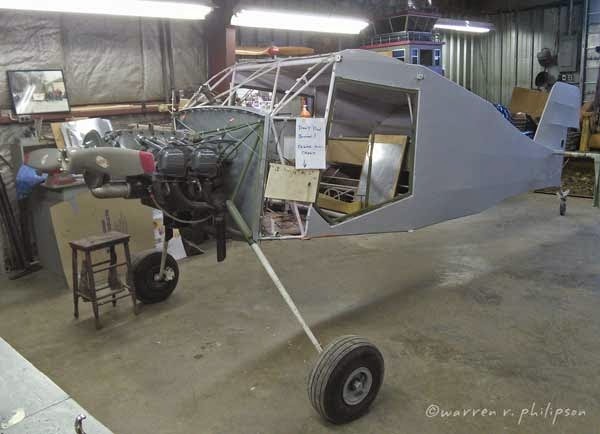 Muns and one of his aircraft-building buddies, Jack, started the plane, a Wittman Buttercup, in 2004, not long after they’d finished building an RV-8 aircraft. They were buzzing along on the Buttercup until they got wind of a pile of rusted scrap metal being advertised as parts of a Model-T Ford. Well, Muns had other planes and Jack had one too, so it wasn’t as if they were rushing to have something to fly. And though they’d worked on automobiles and farm vehicles, they’d never built one, certainly not a Model-T. The undone Buttercup was pulled to the hangar. Completing the Model-T Ford would have been a good time to relax (see Driving Photo Addendum and the video at Model-T Ford Photo Addendum), but Muns’s Piper Vagabond aircraft needed major repairs. Those finished, ta-dah, the Buttercup reappeared. They chose to build a Wittman Buttercup because of the plane’s unique design. To me, whose knowledge of aircraft is being squeezed in economy, the Buttercup looks like other single propeller, two side-by-side seat, high-wing, light aircraft. They were swayed by the tapered rod landing gear and especially by the wing slats and flaps, which allow the pilot to change wing curvature (camber) and which retract during normal flight. That variable camber design could produce more lift at low speeds. The plane’s original 85 horsepower engine could maintain speeds as low as about 40 mph up to nearly 150 mph. The aircraft designer, Sylvester Joseph "Steve" Wittman, was also rather unique. An aviation pioneer, he earned his pilot’s certificate, signed by Orville Wright, and built his first aircraft in 1924. He was soon barnstorming, selling rides, giving exhibitions, working as a test pilot, beginning a racing career that continued until 1984, and designing, building and flying his aircraft. Wittman managed the Oshkosh, Wis., airport, which is named for him, from 1931 to 1969. 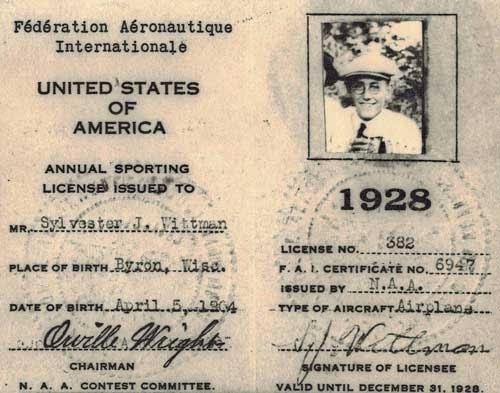 He was active in the Experimental Aircraft Association from its first year, 1953, and was key to bringing EAA’s annual fly-in to Oshkosh beginning in 1970 (see The Fly-in and The Fly-in Photo Addendum). He and his second wife were killed in 1995 when the plane he was piloting crashed. Wittman was 91. 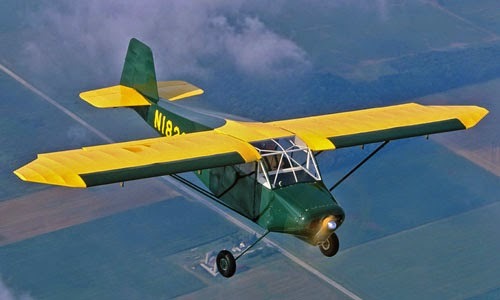 Fairchild Aircraft purchased production rights to the Buttercup from Wittman and were reportedly considering a four-seat model. Whatever was planned, the company’s World War II production obligations intervened. 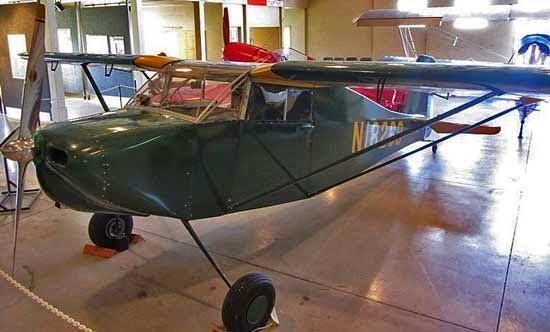 Although Wittman built only one Buttercup--the one on display at EAA’s Pioneer Airport in Oshkosh--Earl Luce reverse-engineered the aircraft from the original, built a replica, flew it in 2002, and made the plans and kits available the following year. Muns and Jack bought the plans but had no need nor interest in a kit. Wittman Buttercup replica built by Earl Luce. Will Muns's Buttercup ever be finished? A few of the coffee klatch regulars have been actively contributing and others are kibitzing knowledgably. As I was walking by the shop the other afternoon, I saw that Muns and my wife Vicki had the plane outside. They were pushing the button and the engine was definitely cranking.